140 x 216 mm 143 pages, IX, 143 p.
The five novels E.M.Forster published during his lifetime enjoyed a popularity and critical acclaim out of all proportion to this modest fictional output or the books' apparent pretensions: certainly since the publication of Howards End in 1910 he has been regarded almost without question as one of the foremost novelists of the century. Since his death in 1970 there has been no slackening of interest; the appearance of a comprehensive biography, an edition of his letters, a major critical edition of his works, and other scholarly and critical aids has given fresh impetus to the reassessment of his achievement. 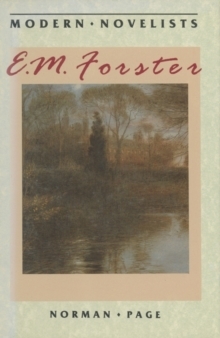 The present study provides a short account of Forster's life and career, followed by detailed discussion of his major writings. A final chapter considers his posthumous novel Maurice and the short stories. Although his most significant work belongs to the first quarter of the twentieth century, Forster's alliance of wit and seriousness, satiric comedy and moral insight, gives it a perennial freshness for new generations of students and readers.